The killing of an American Army officer from Mechanicville, NY in May of 1861 so outraged Northern public opinion that tens of thousands of men opposed to Southern secession rallied to the ranks of the Union Army in order to "Remember Ellsworth." Upon learning of Col. Elmer Ellsworth’s passing, a crest-fallen President Abraham Lincoln described the 24-year old Colonel as "the greatest little man I ever met." Ellsworth was born in Malta in 1837. His family lived there until the 1840s. He grew up in Mechanicville, where he is now buried. He was a law clerk and United States Army soldier who was the first Union officer killed in the Civil War. He was shot in Alexandria, Virginia – where the hit PBS show Mercy Street takes place and where we pick up again in Season 2. Ellsworth was shot by the owner of the Marshall House Inn in Alexandria while leading men to take down a rebel flag flying atop the inn. The flag, it is said, could be seen for miles and was seen by Lincoln from the White House. After Ellsworth was shot in the chest, a Troy man named Corporal Francis Brownellshot the inn owner James W. Jackson. 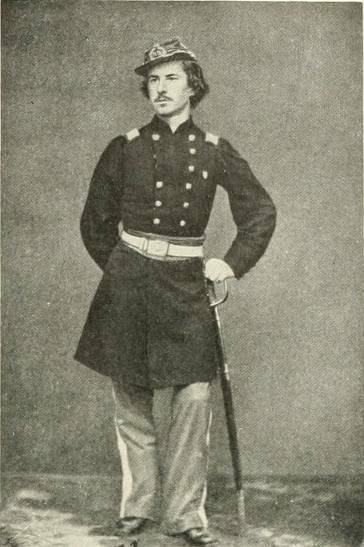 Brownell's action of killing Jackson marked the earliest date for which the U.S. Medal of Honor was ever awarded, though he did not actually receive the award until 1877. Thousands of Union supporters rallied around Ellsworth's cause and enlisted. "Remember Ellsworth" was a patriotic slogan: the 44th New York Volunteer Infantry Regiment called itself the "Ellsworth Avengers", as well as "The People's Ellsworth Regiment,” according to Wikipedia. The New York State Military Museum and Veterans Research Center in Saratoga Springs has most of the flag and Ellsworth's uniform, showing the hole from the fatal shot. The Fort Ward Museum in Alexandria dedicated a section of their museum to Ellsworth. Watch as allegiances blur and loyalties shift at Alexandria’s Mansion House in Mercy Street. Bingethe show online.